Phil finished up the Mustang miniature for Peace River this week. 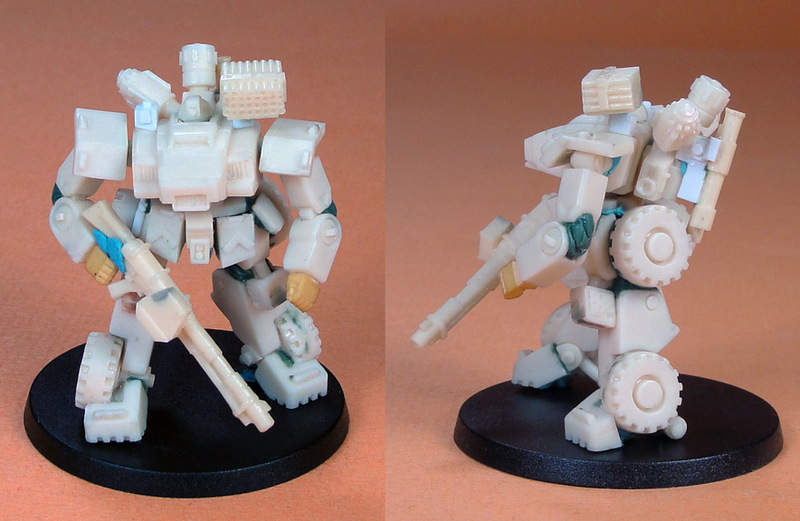 I assembled the master parts with some blue tac to hold them together and took photos of it from the front and side. Shown with Vanguard variant heavy autocannon loadout. The final miniature will have another of the very light rocket packs on the right side as well and a vibro axe, like the one we include with the Gladiator. Plus it will include a medium autocannon (stock loadout), medium bazooka (Shamshir variant) and snub cannon (Demolisher variant) weapons.